It’s been said that the family that prays together, stays together—but do you know just how true that really is? Seriously! A Gallup poll revealed that among married couples who attend church together regularly, the divorce rate is one out of two. How sad. That’s the same statistic as for marriages anywhere. 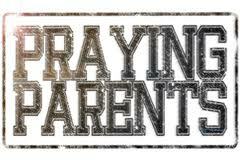 But get this: among couples who pray together daily, the divorce rate is one out of 1,153. [i] What a difference! One of the best gifts a couple can give their children (and each other) is the gift of a strong marriage and family life knit together through prayer. Prayer builds unity and intimacy. 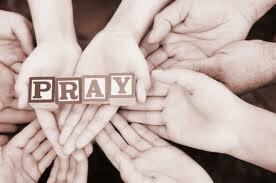 We become intimate to whom we pray, for whom we pray, and with whom we pray. Prayer is the key to unlocking extraordinary blessings for children and families the way a key unlocks a gate. Years ago, Doug came up with a slogan for our family that, in our house, prayer should always be “the first response, not a last resort.” I’d go so far to say that prayer has not only been our lifeline to heaven (and sometimes to sanity! ), but it’s also been our greatest and most valued parenting tool. How very cool. I realized way back then that prayer is one of the most powerful roles a mother can play in her children’s lives. So much more can be accomplished for my kids from my knees than from my mouth! Correction, instruction, suggestions, and advice are all very well and good—and necessary. But years of experience tell me (and I know many other praying moms who will agree with me) that some of the most powerful breakthroughs I’ve seen with my children have been when I prayed instead of only trying to fix a situation with natural means. Have you PRAYED for your kids today? This post adapted from my book Prayer-Saturated Kids, by Arlyn Lawrence and Cheryl Sacks, NavPress 2007. [ii] James Strong, “Strong’s New Exhaustive Concordance of the Bible, Thomas Nelson, Nashville, TN:1995), tsaphah, Strongs #6822, p. 122; shamar, Strongs #8104, p 145. [iii] The NIV Exhaustive Concordance (Zondervan, Grand Rapids, MI:1990), p. 1598 and 1643.